Why isn’t everyone concerned about the welfare of all people, everywhere? Is global compassion a gift, like musical talent, a virtue of the few? Or might we all have the potential for global compassion within us, dormant? In 2014, Dr. Paul Ekman explored these questions in his book, Moving Towards Global Compassion. On May 17th, 2018, His Holiness the Dalai Lama and Dr. Paul Ekman will revisit global compassion in dialogue. During the webcast Dr. Eve Ekman, Paul Ekman’s daughter, will announce an exciting new project that needs your support. 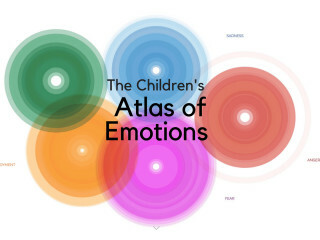 Eve is launching the Children’s Atlas of Emotions. This free educational tool will provide our most precious generation the language and skills necessary to understand and work with their own emotions. Please help this project succeed by backing the Indiegogo fundraising campaign. Any contribution you can make will help. After the event, learn more about what Paul Ekman and His Holiness the Dalai Lama discussed during their groundbreaking meeting in 2012 on Global Compassion. Their conversation was filmed and produced as a series of websides that are available now. Insights from these discussions may show you how you can develop your own role as a citizen of global compassion.